"Every new Alzheimer’s gene defect we find provides new clues regarding the cause of the disease, and what we need to do to stop the disease..."
Ultimately, the full list of Alzheimer’s genes emerging from the family-based genetic studies of the Alzheimer’s Genome Project and the population based studies of the International Genomics of Alzheimer's Project are getting us closer and closer to someday being able to eradicate Alzheimer’s disease using a strategy of early prediction and early intervention. By Rudolph E. Tanzi, Ph.D. Most drug discovery for Alzheimer’s today is based on studies of the four original Alzheimer’s genes. But, we know that there are many more Alzheimer’s genes yet to be identified. Since 2005, the Cure Alzheimer’s Fund has supported a project called the Alzheimer’s Genome Project (AGP), carried out in my laboratory at Massachusetts General Hospital. The goal of this project is to study 5000 families with multiple members who are affected with the common late-onset form of Alzheimer’s disease in an effort to identify all of the other Alzheimer’s genes. In addition to the Alzheimer’s Genome Project, the International Genomics of Alzheimer's Project (IGAP a consortium of dozens of research institutions in Europe and the U.S., in which we are members), uses tens of thousands of individual Alzheimer’s cases from the general population in the U.S. and Europe, to find common DNA variants that influence risk for Alzheimer’s. The family-based method of our Alzheimer’s Genome Project and the population-based method of IGAP have identified some of the same Alzheimer’s genes, but also find different ones with different effects on risk. In the family-based studies of the Alzheimer’s Genome Project, we are able to find not only common DNA variants that influence one’s risk for Alzheimer’s, but also rare mutations that profoundly affect risk for the disease, or directly cause it. The Alzheimer’s Genome Project places a high priority on finding these rare but very potent gene mutations because historically, amongst the four known Alzheimer’s genes, it has been the rare early-onset familial Alzheimer’s gene mutations that have been most effectively guiding drug discovery efforts. This is mainly because hard-hitting mutations have clear-cut adverse effects on biological systems, which can be elegantly recapitulated in animal models. This then allows for more effective drug discovery and development. Along these lines, one of the first new Alzheimer’s genes to be identified in the Alzheimer’s Genome Project was ADAM10. This gene was specifically chosen for testing as a potential Alzheimer’s gene because like the four original Alzheimer’s genes, it affects the production of Abeta in the brain. We identified two rare mutations in this gene that strongly predispose carriers to Alzheimer’s disease at around 70 years old. These two mutations were found in only 7 (of 1000 AD families tested). Thus, they are very rare. We have recently demonstrated these two mutations dramatically impair the activity of ADAM10. ADAM10 normally blocks the production of Abeta. Accordingly, we have found that these two rare mutations greatly enhance Alzheimer’s amyloid pathology in animal-based models of the disease. With the validation of these mutations to be “pathogenic”, or disease causing, the Alzheimer’s Genome Project considers ADAM10 to be the fifth Alzheimer’s gene. We published the original findings showing ADAM10 to carry rare mutations causing Alzheimer’s disease in 2008 in the prestigious scientific journal, Human Molecular Genetics. The publication of the validation data from transgenic mouse models is planned for the coming year in 2011. Also beginning in 2005, with Cure Alzheimer’s Fund support, as part of the Alzheimer’s Genome Project, we carried out the first family-based “genome-wide association study” for new Alzheimer’s genes. This entailed a screen of the entire human genome in patients and their relatives in thousands of Alzheimer’s families. The first phase of this study was completed in 2008 and led to the identification of over 100 new Alzheimer’s candidate genes. We reported the top four Alzheimer’s candidate genes from this study in 2008. This achievement was named one of the “Top Ten Medical Breakthroughs of 2008” by Time Magazine. It should be noted that the Cure Alzheimer’s Fund Alzheimer’s Genome Project was the first large-scale study of the human genome performed in the world on the world’s largest collection of families affected by Alzheimer’s disease. It was also the first genome-wide study for Alzheimer’s in the world to discover novel Alzheimer’s gene candidates with statistically significant results and confirmation in thousands of subject from families with a high incidence of Alzheimer’s disease. The four new Alzheimer’s genes reported by the Alzheimer’s Genome Project in 2008 included: ATXN1, CD33, GWA14Q34, and DLGAP1. ATXN1 is known to carry mutations that cause another neurodegenerative disease called spinal cerebellar ataxia, a movement disorder. We found that when this gene is inactive, Abeta levels increase dramatically leading to cognitive decline in mouse models. Another gene, CD33, is perhaps the most interesting since it controls the brain’s innate immune system and inflammation in the brain. In a related study funded by the Cure Alzheimer’s Fund, Abeta was found to play a role in the brain’s innate immunity system. CD33 regulates the brain’s immune system and concurrently, levels of Abeta. We are now developing CD33 as a drug target for Alzheimer’s based on the genetic findings of the Alzheimer’s Genome Project. It should be emphasized that without the Cure Alzheimer’s Fund Alzheimer’s Genome Project we would probably have never guessed that genes like ATXN1 and CD33 might be involved with Alzheimer’s. As part of the current activities of the Alzheimer’s Genome Project, we are now testing these as well as over one hundred new Alzheimer’s candidate genes, coming out of our genome screen, to identify all of the DNA variants and mutations that influence risk for Alzheimer’s in the five thousand Alzheimer’s families under study in the Alzheimer’s Genome Project. We are specifically searching for DNA mutations and variants in these genes that very strongly affect risk for onset of Alzheimer’s. As new defects are found in these genes, we will not only increase our ability to reliably predict risk for Alzheimer’s, but more importantly, garner new clues regarding the causes of Alzheimer’s, and in doing so, gather new ideas and biological targets for novel drug discovery aimed at preventing, stopping and reversing Alzheimer’s disease. In the parallel screen for new Alzheimer’s genes conducted by the IGAP, the DNA from tens of thousands of individual Alzheimer’s patients was compared to the DNA of elderly subjects without Alzheimer’s to find common variants that influence risk for Alzheimer’s. In 2009, this led to the identification of four new Alzheimer’s gene candidates called PICALM, CLU, CR1, and BIN1. More recently in April 2011, IGAP found four more Alzheimer’s genes called CD2AP, MS4A, EPHA1, and ABCA7. In addition, they found Alzheimer’s risk to be influenced by the gene CD33, which was first reported by our Alzheimer’s Genome Project in 2008. It should be noted for the sake of clarity that the IGAP had stated in their reports and press releases that they had increased the number of known late-onset genes from “five to ten”. However, these numbers only pertained to studies of individual Alzheimer’s patients in the general population screened in IGAP, and not the family-based Alzheimer’s genes reported by the Alzheimer’s Genome Project. The IGAP considered the original five late-onset Alzheimer’s genes to be APOE (discovered as mentioned earlier at Duke U. in the early 1990’s), PICALM, CLU, CR1, and BIN1. They then considered the next five to be CD2AP, MS4A, EPHA1, ABCA7, and CD33. However, as mentioned above, CD33 had already been identified earlier in our Alzheimer’s Genome Project in 2008, which was reported in the major scientific journal, The American Journal of Human Genetics. In the IGAP announcement, they also overlooked the other three late onset genes, which had been discovered three years earlier in our Alzheimer’s Genome Project. So, in fact, with the 8 new genes reported by IGAP and the 5 new genes reported by the AGP, there have been 13 new late onset Alzheimer’s genes discovered in the last 5 years, which, when added to the discovery of APOE yields 14 total late onset genes now reported in the scientific literature. To that total add the 3 early onset genes co-discovered by Dr. Tanzi and colleagues to reach a total of Alzheimer’s genes discovered of 17. In addition, Dr. Tanzi and AGP have also identified over 100 unpublished Alzheimer’s candidate genes that are currently being confirmed and validated for publication over the coming year. With regard to effects on risk, all of the new Alzheimer’s gene candidates reported by the IGAP carry common DNA variants that confer only tiny effects on risk. Specifically, according to IGAP, the new genes contain common DNA variants that are present in a large proportion (30-70%) of the general population, but only increase or decrease risk for a given individual by a mere 10-20%. In contrast, the epsilon 4 variant in APOE, which is present in 20 percent of the population, increases risk by 400 – 1200 percent. And the ADAM gene just discovered by the AGP increases risk for the individuals who have it by about 500 percent. With regard to the CD33 gene, which was identified as an Alzheimer’s gene in both our Alzheimer’s Genome Project in 2008 and the IGAP in 2011, each project actually discovered different Alzheimer’s associated DNA variants in this gene. In our family-based Alzheimer’s gene study, we originally reported a relatively uncommon variant in CD33 that increases risk for Alzheimer’s in a subset (<100) of the 5000 Alzheimer’s families we studied. In contrast, the IGAP discovered a very common variant in CD33, present in about 50% of the population that conferred only marginal protection against Alzheimer’s (decreasing risk by only 11%). The fact that we now know of two different Alzheimer’s-associated DNA variants in the CD33 gene from multiple Alzheimer’s samples increases the odds that CD33, is a bona fide Alzheimer’s gene. As with all of the new genes found in the genome-wide association screens of the Alzheimer’s Genome Project and IGAP, the next critical step is to identify all of the DNA variants and mutations in these genes that increase or decrease risk for late-onset Alzheimer’s disease. The Cure Alzheimer’s Fund continues to support these efforts. We are currently screening over a 100 new Alzheimer’s candidate genes found in the Alzheimer’s Genome Project along with those found in the IGAP, to identify all of DNA variants and mutations in these genes that influence risk for Alzheimer’s disease. Elucidating the full deck of Alzheimer’s-associated gene variants and mutations and understanding the interrelationships among them is necessary to fully understand all of the biological processes that are affected in Alzheimer’s disease. This will give us the best odds of reliably predicting the disease early in life (with appropriate counseling and legal protection). Most importantly, the full set of Alzheimer’s genes and the knowledge of how they biologically influence risk for disease will continue to provide the most critical information needed to guide the development of new and effective therapies aimed at preventing, stopping or reversing Alzheimer’s disease. Finally, it should be noted that whether a DNA mutation in an Alzheimer’s gene is rare and restricted to a small subset of families or more broadly observed in the general population, most believe that new drugs or therapies for Alzheimer’s based on what is learned from that mutation will be useful in preventing and treating all cases of Alzheimer’s. As noted above, in the Alzheimer’s Genome Project, we place a high priority on family-based gene studies of Alzheimer’s since there we have the highest odds of finding DNA mutations with very strong effects on risk for Alzheimer’s, akin to those of the early-onset familial Alzheimer’s disease gene mutations discussed above. These mutations are most useful for driving successful drug discovery since their biological effects on the disease process are of much greater impact and more clear-cut in terms of mechanism by which they cause disease. They also lend themselves to more useful animal models for drug testing. Ultimately, the full list of Alzheimer’s genes emerging from the family-based genetic studies of the Alzheimer’s Genome Project and the population-based studies of IGAP getting us closer and closer to someday being able to eradicate Alzheimer’s disease using a strategy of early prediction and early intervention. ** Discovered by the Cure Alzheimer’ Fund Alzheimer’s Genome Project in Alzheimer’s families-these genes are expected to contain DNA variants that significantly increase risk for Alzheimer’s. *** Discovered by the IGAP-these genes are expected to contain DNA variants that are common in the general population but which have only tiny effects on risk for Alzheimer’s. N.B. The Alzheimer’s Genome Project has also discovered over 100 additional Alzheimer’s candidate genes that are in the process of being confirmed and validated. In addition, the Cure Alzheimer’ Fund supports a website called AlzGene, in which we are tracking all of the Alzheimer’s candidate genes reported in the scientific literature, including their ongoing testing for confirmation as bona fide Alzheimer’s disease genes. How Many Do We Know and What Can We Do With Them? Want to Make a Difference. Want to be a part of the discovery of a treatment or cure for Alzheimer's disease. Got a few bucks. 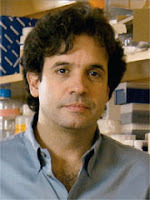 Author Rudolph E. Tanzi, Ph.D.